Southwestern Chicken Cups are an incredibly delicious appetizer! I think my theme this summer is “Recipes From the Past.” These Southwestern Chicken Cups are another recipe that I made many years ago, then forgot all about. I guess life’s twists and turns has a way of doing that. My oldest son and I moved from Utah to Colorado and then to my home state of Delaware. With each move, I try as best as I can to experience each area and with it just being the two of us, cooking took a back seat. Now that I’m settled (somewhat) with a fiancé and 2 kids, we aren’t running around quite as much lately. I’ve take advantage of this slow period to dig into my food photo archives to find all these recipes I used to love. I’ve had to recreate them from scratch, since the originals are long gone, but that’s part of the fun! I went through a period of making all kinds of things with won ton wrappers. 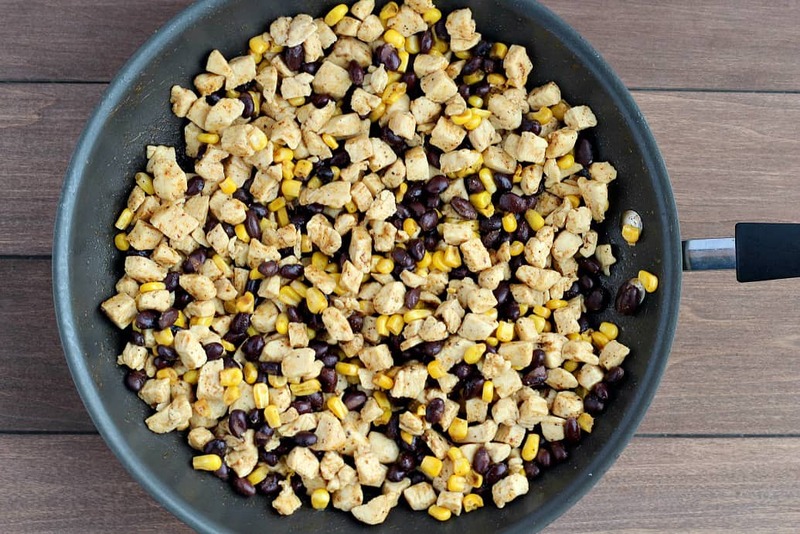 For this recipe, I fill them with a blend of chicken, black beans, corn, and southwestern herbs and spices. Top them with cheese and sour cream and they make the perfect appetizer or party food. 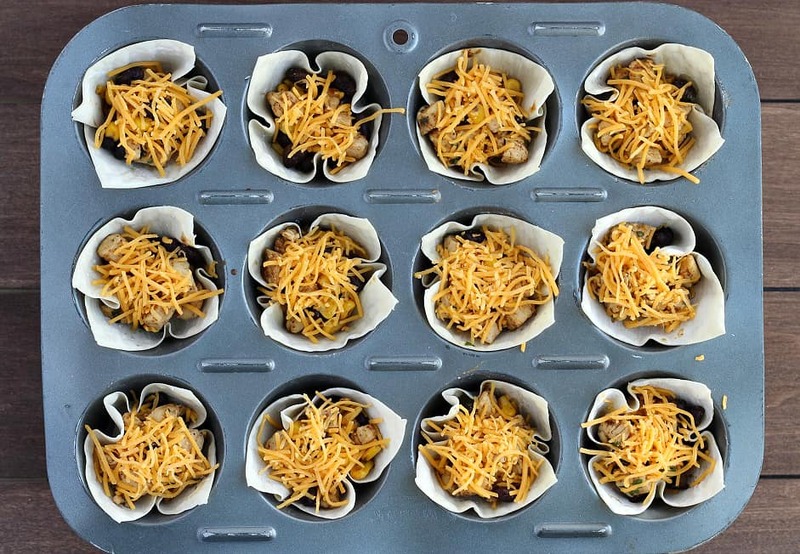 This recipe for Southwestern Chicken Cups makes a great appetizer or party food! My family has even eaten them for dinner a time or two! For this recipe you will need a muffin pan, skillet, spatula, cutting board, knife, measuring cups, measuring spoons, and all of your ingredients. Mince the cilantro and set aside. 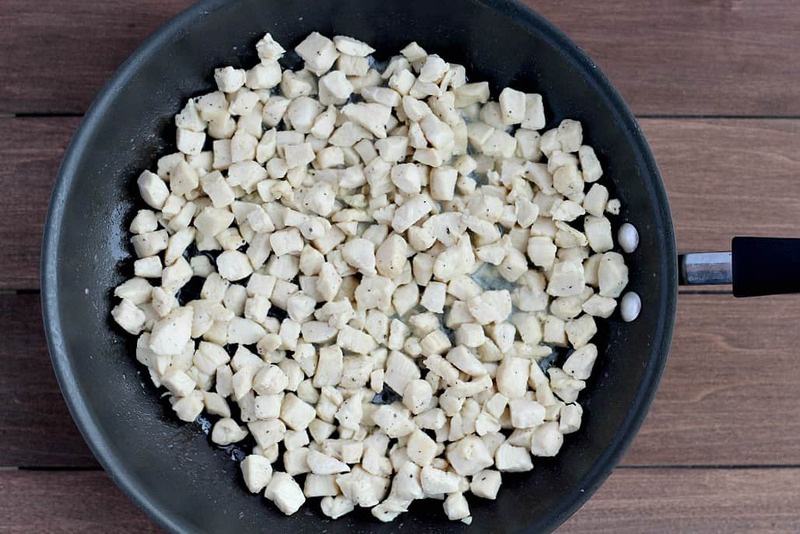 Cut the chicken into small cubes. 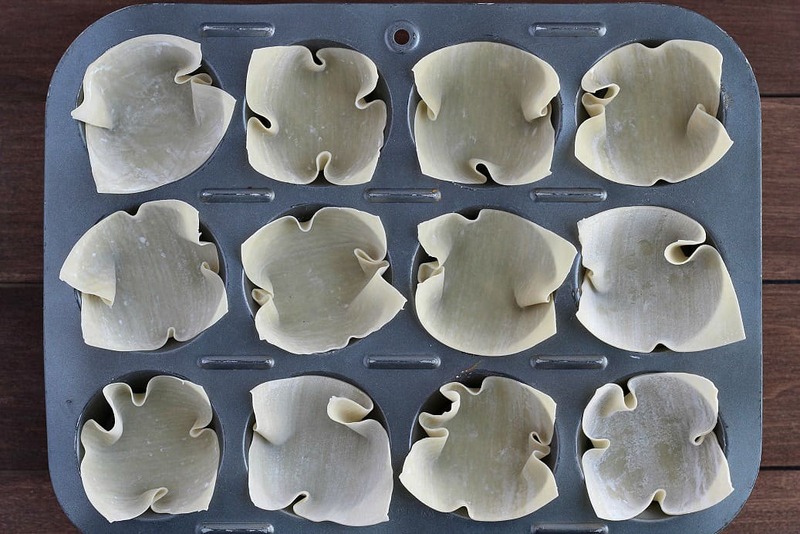 Line the muffin pan with won ton wrappers to form the cups. Bake for 5 minutes, remove from the oven and set aside. Heat the olive oil in a large skillet over medium-high heat. Add the chicken and cook for 5-7 minutes, until done. Stir in the black beans, corn, chili powder and cumin. Remove from heat and stir in the cilantro. Add about a tablespoon of the chicken mixture to each won ton wrapper. Top with a pinch of cheese and return to the oven for 5-7 minutes until the won ton wrappers just start to turn light brown. Top with sour cream and extra cilantro, if desired. Adding the sour cream and cilantro brightens up these appetizers nicely. 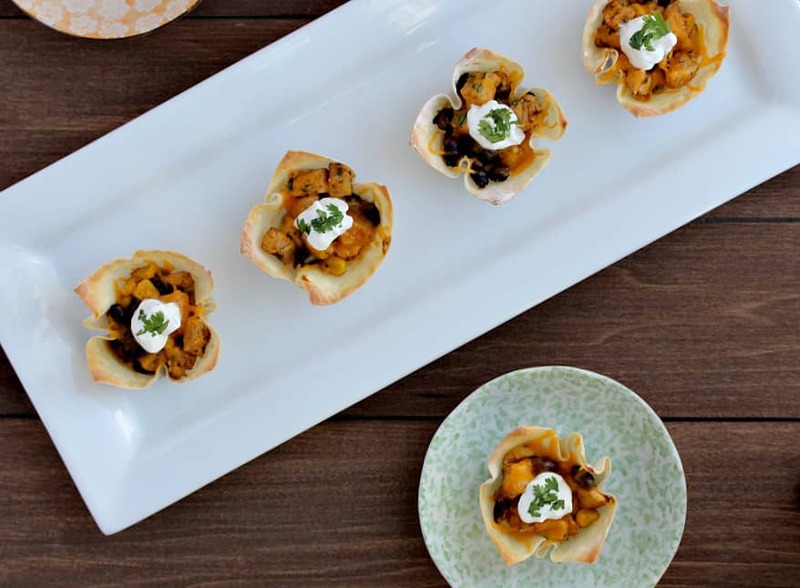 If you are planning to serve these Southwestern Chicken Cups to guests, place them on a serving tray or directly on a table for your guests to help themselves. Love this recipe? Follow me on Pinterest, Instagram, and Facebook for more! 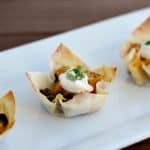 Southwestern Chicken Cups make a great appetizer or party food! Preheat your oven to 350°F. Mince the cilantro and set aside. 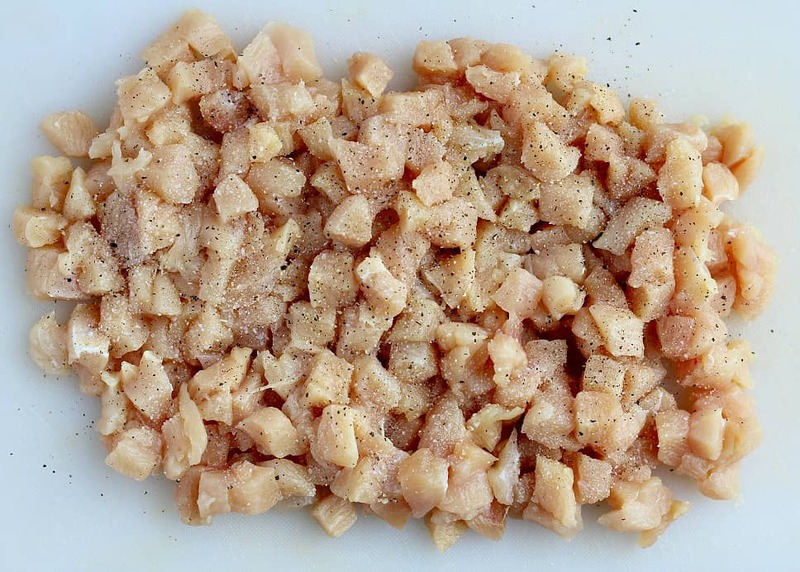 Cut the chicken into small cubes and season with salt and pepper. Heat the olive oil in a large skillet over medium-high heat. Add the chicken and cook for 5-7 minutes, until done. Stir in the black beans, corn, chili powder and cumin. Remove from heat and stir in the cilantro. I love this recipe! It’s a perfect quick app for game day as well. Pinned and saved for later! I like this simple chicken cups with wonton wrapper. this not only great for game day as well as holiday day get together.Chicken and beans with spices and cheese so yum. These would make a fun appetizer for game day! They look delicious and I love the individual servings! Wonton wrappers are so versatile. I should keep them handy at all times. We do love the southwestern flavor and your chicken cups are so cute. Can’t beat finger foods especially when it comes to the kiddos. And then they would be ideal for a party. I’m pinning!! Yum! I love how versatile wonton wrappers are for delicious bites like this. These would be perfect as a larger bite at a party or even as a great, packable lunch. Those chicken cups look adorable. Using wonton wrappers as the ‘crust’ is a genius idea. Will have to try it out some time soon. This looks so good. One of my cheat foods to create when I have kids over on play dates. Simple,easy and always fun for kids. This looks so good. What pretty little treats. And I love the added combination of corn and black beans. t’s always fun to walk down memory lane with a dish from another part of our lives. 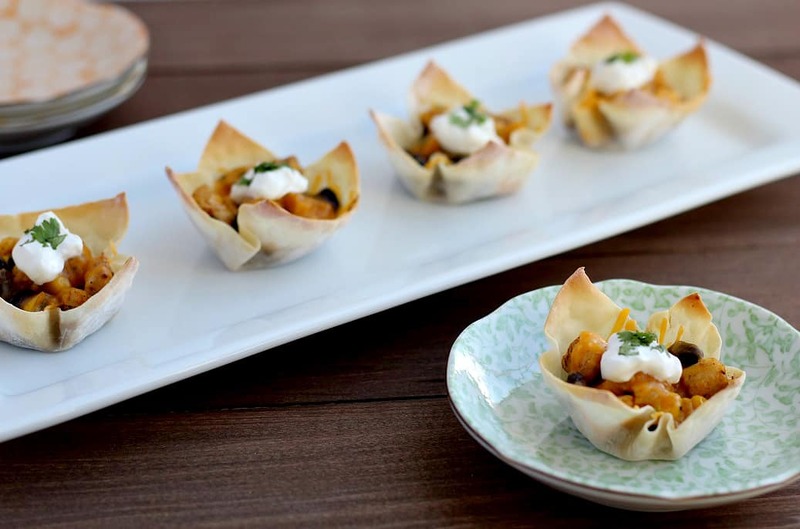 These southwestern chicken cups are the perfect finger food for entertaining at the holidays. I can’t wait to make these. Wow, what a great appetizer! Great idea for a festive table. Love everything about this recipe! Thank you! These look like fun little party apps. Perfect for all the holiday parties that are just around the corner. I love how creative you are and make deicious meals so easy. This is one I will def try since they are everything I love! What a great finger foo for guests. I’m saving this for my next party. Looks really flavorful and so delicious. Plus it’s super easy to make.